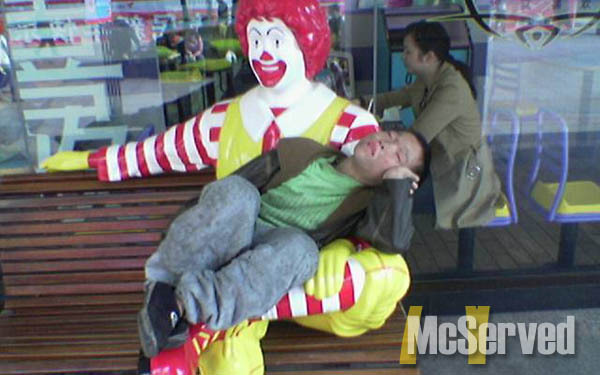 RONALD MUST OFFER HIS PROTECTION | McServed: Getting Served McDonalds Fast Food Funnies, Laughs and More! Baffles the mind why else this is even remotely comfortable. Pictures, Sleeperstags: asia, comfort, sleep. lol, what is this guy/girl doing? Never under estimate the powers of yoga and a place to sleep.